The presence of Setaria pumila in dairy pastures lowers feed quality and may cause grazing avoidance. 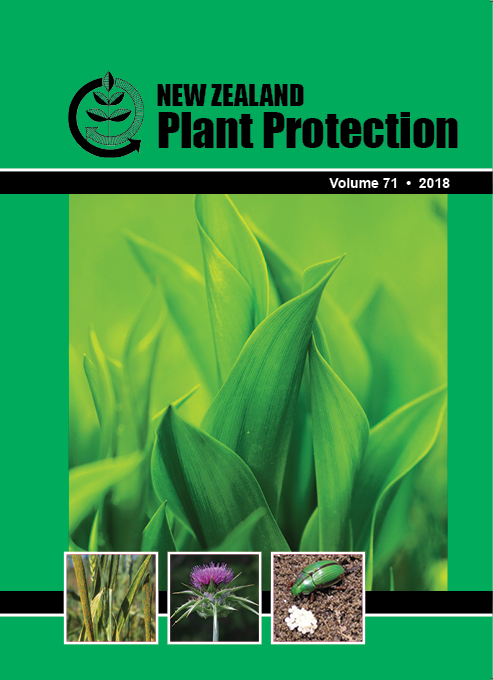 More information is required about the germination biology of this weed to improve the effectiveness of control strategies. Base temperature and germination profile were determined on a thermo-gradient table. For emergence depth, seeds were buried at 0—50 mm and time to emerge recorded. Seed persistence was tracked at seven field sites over 5 years and in a laboratory-based controlled-ageing test. Base temperature for germination was 10.2Â°C, germination was most rapid at 30—35Â°C and most numerous from 20—30Â°C. Emergence occurred from 2—50 mm depth but mostly from 2—15 mm. The controlled-ageing test indicated the seed was viable for <3 years. However, some Setaria pumila seed continued to germinate after 5 years of burial in all but the clay soil. Farmers should try to prevent this species from seeding for at least 5 years to reduce the seed bank. Soil inversion could promote dormancy and seed persistence. If followed by effective control, cultivation could stimulate germination and further reduce the seed bank.